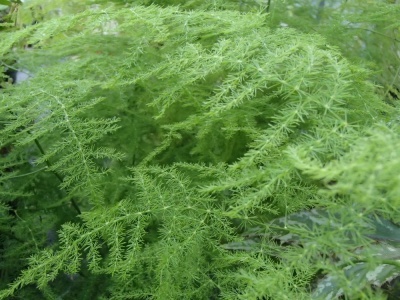 Once popular as a houseplant, this scrambling climber or trailer makes a mass of very fine foliage for a sunny position indoors, or in a frost-free greenhouse or conservatory. 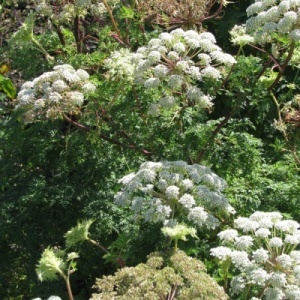 The tiny 'leaves' are actually flattened bits of stem, called cladodes. These occasionally drop, so the plant is best grown where these can be swept up easily. 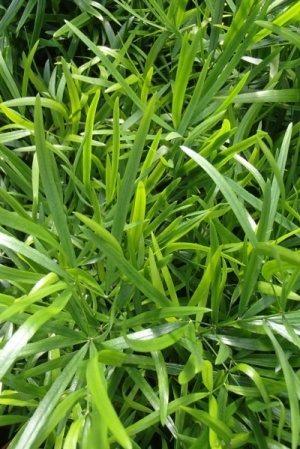 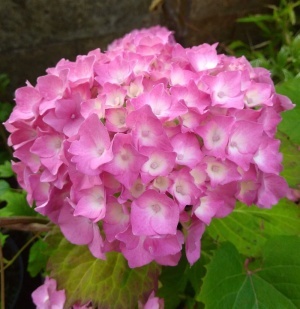 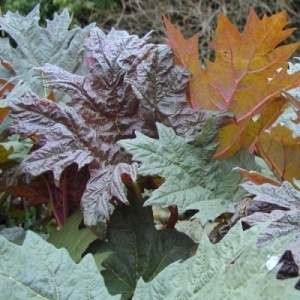 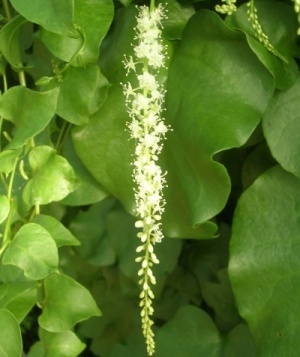 Very vigorous climber with very spiny stems clothed with large flat leaves. 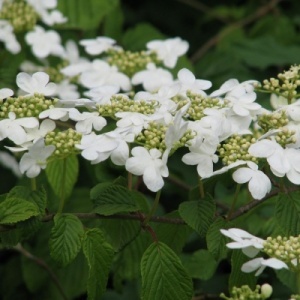 A twining climber growing from underground tubers, producing masses of fresh green foliage and clusters of small white scented flowers in summer.